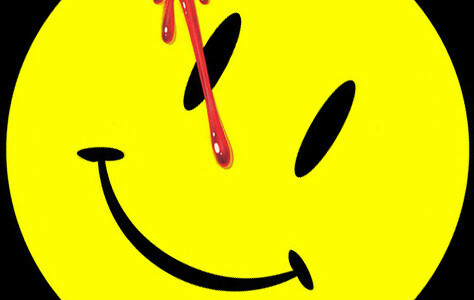 For the uninitiated, Watchmen is based on a 1980s comic book, set in an alternate 1985 reality where masked/costumed vigilantes fight crime in America and President Nixon has served three terms as President. I would attempt to summarise the plot, but there is no plot. At just over 2 and three quarter hours Director Zack Snyder (of ‘300’ fame) attempted to copy the style of the excellent ‘Sin City’ with more than a small nod towards ‘The Dark Night’ and even a complete rip-off of an entire scene from ‘Dr Strangelove’. The film begins with the murder of one of the vigilante superheroes (The Comedian) but there is no reason for the viewer to invest in the superhero characters, as they have no redeeming features whatsoever; further, the characters are simply boring. At one point, which may have been after I had re-opened my eyes after a short rest, I was actually hoping more superheroes would be killed – but then I realised I didn’t care either way. Finally, after many extended scenes of ‘Dr Manhatten’ parading around naked (yes, the full frontal kind), I re-opened my eyes for the second time to witness the conclusion to this awful movie. Despite my sincere hope that the USSR would get the chance to obliterate the alternate-reality east coast USA, I was not rewarded by my 3 hour wait. While I was not expecting a thought provoking and deeply engaging experience from ‘Watchmen’, I was hoping for a touch of escapism and perhaps even a captivating storyline. In fact, I would have settled for a a superficially visual spectacle, that would have at least allowed me to forget my aching bones for a couple of hours. 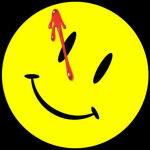 Who watch the Watchmen? Only those that haven’t had time to catch a review – everyone else: AVOID!